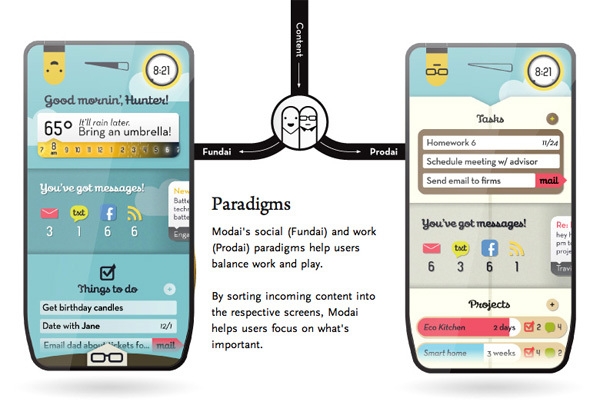 Many of us are hardly use a mobile or gadget for a year or two. 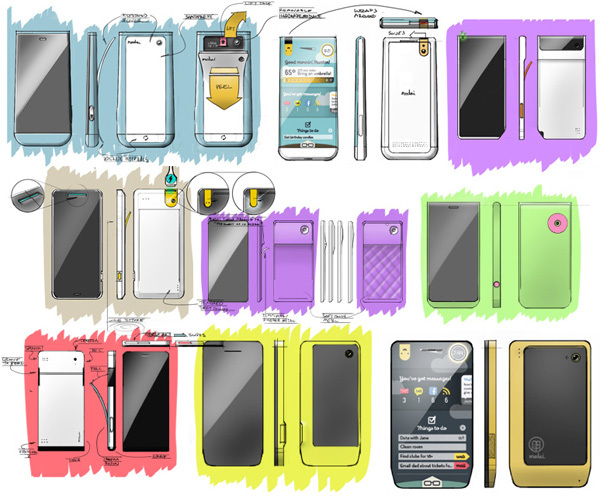 Once we are done, we don't have emotions, we just sell it on ebay or preloved websites. 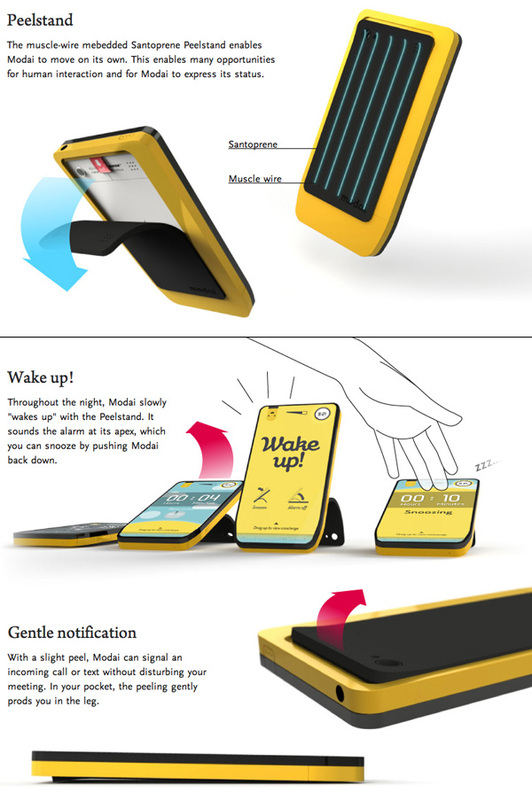 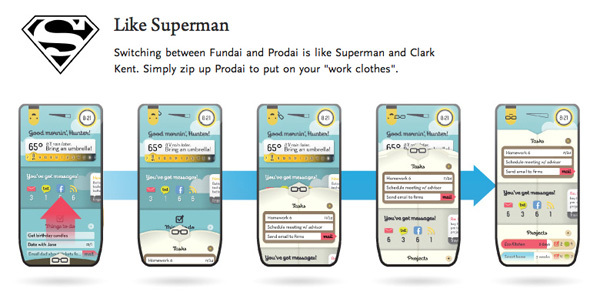 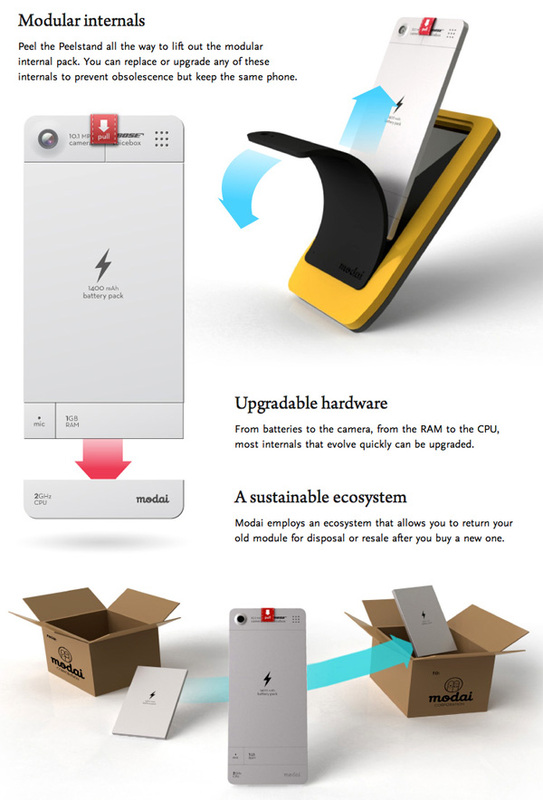 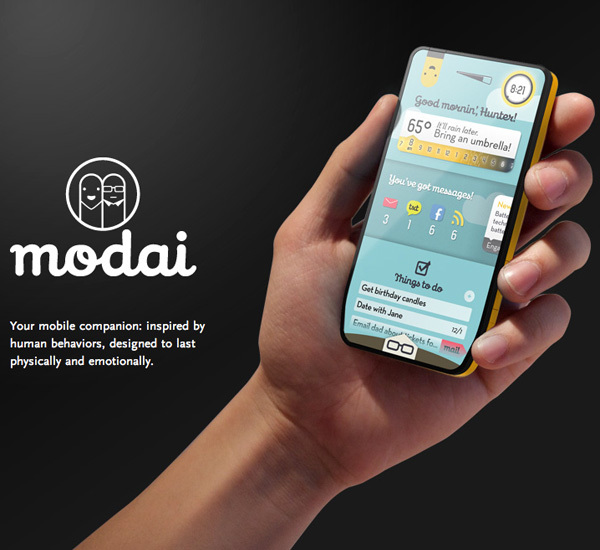 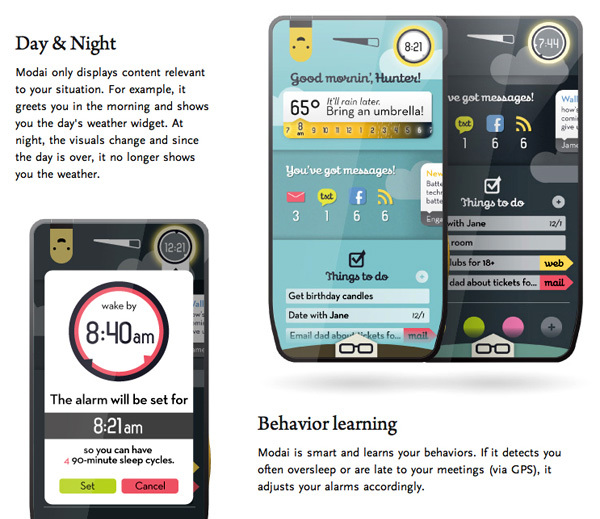 In order to increase the attachment between mobile phones (gadgets) and humans, Modai project was introduced. 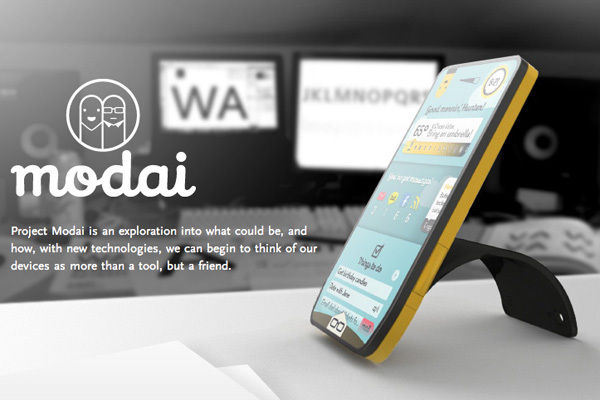 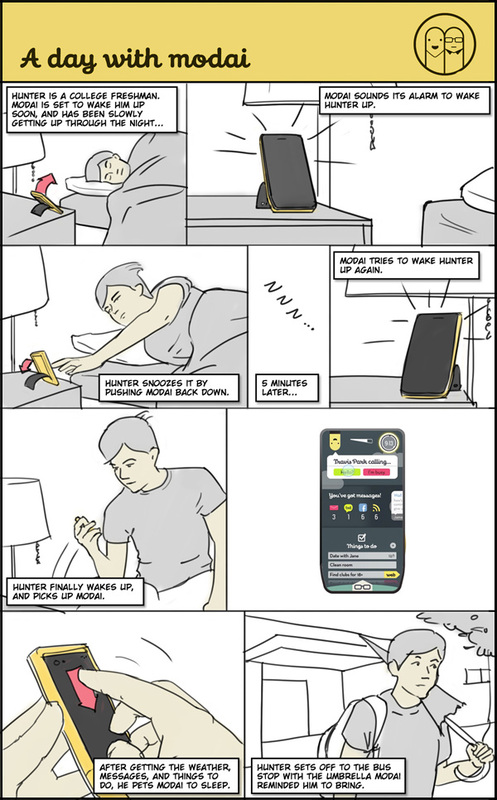 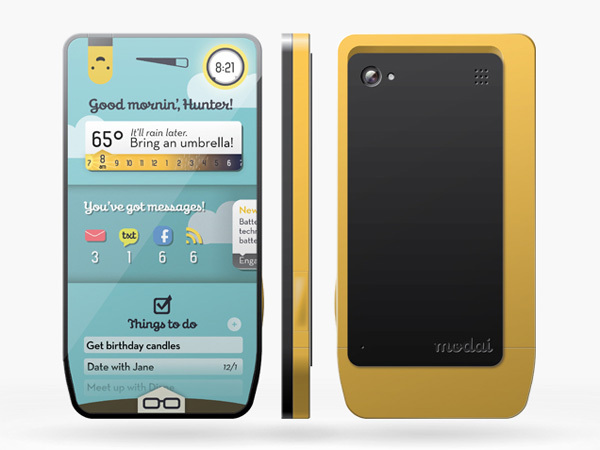 Modai project is designed to make devices as friends more than a tool. 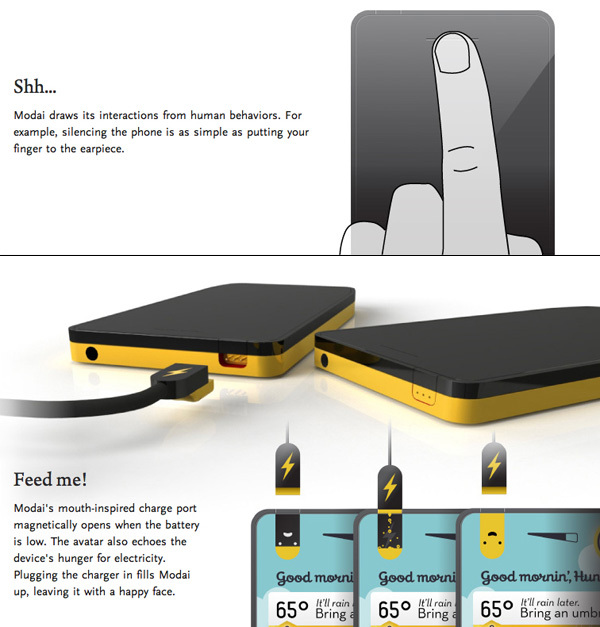 Its designed to last physically and emotionally with humans. Check out about Modai project from the pictures. 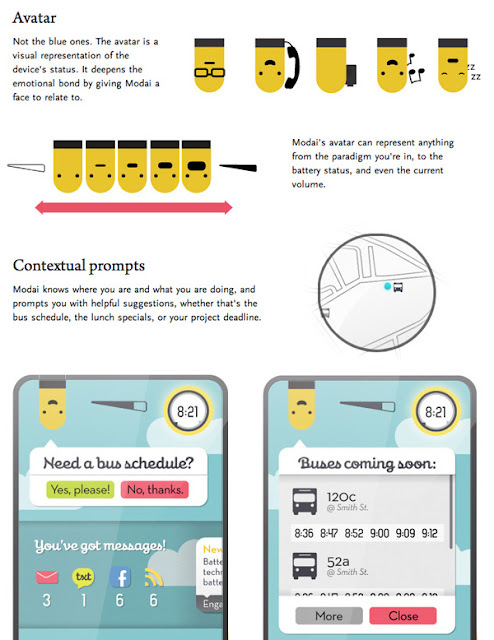 Don't miss "A day with Modai" cartoon below.